Organic and full spectrum CBD capsules from leading brand CBFfx! 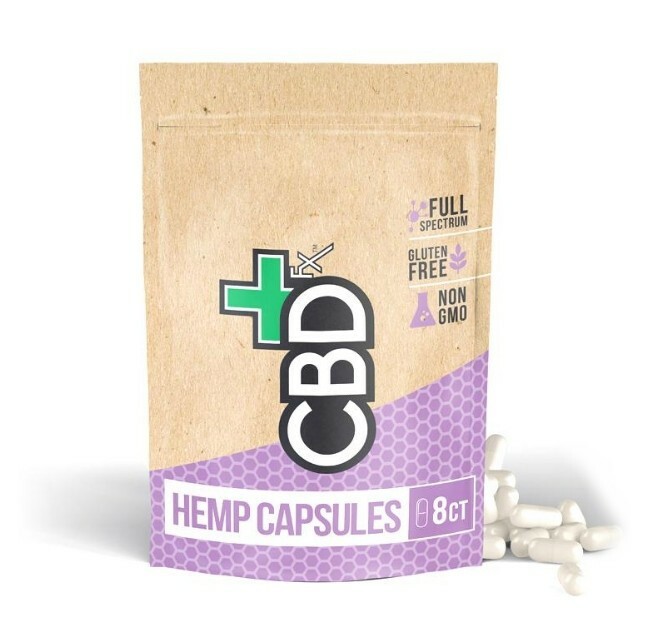 Available in an 8 or 30 pack pouch, each pill contains full spectrum CBD with nutrients and vitamins, ready for you to get your required dose easily. High quality, these capsules are also gluten free and non-GMO. Each pill contains pure and potent CBD and are easy-to-swallow. Order today - each 8 capsule pouch contains 200mg CBD and the 30 capsule pot contains 750mg. Secure and discreet delivery.